Home Lifestyle	Honey, I shrunk my Crocs…. Just popping in for a little Friday PSA. You know how when your kid wears his crocs without socks and they get all stinky? And then you decide to wash them in the washing machine with the diapers? And then you decide to use hot water and the Crocs (which are made of rubber) shrink into elf shoes so that said child can’t even get them on half way? They’re kinda cute that small! I never would have guessed they’d shrink in the wash!! They might shrink, but they don’t stink (anymore)! haha. 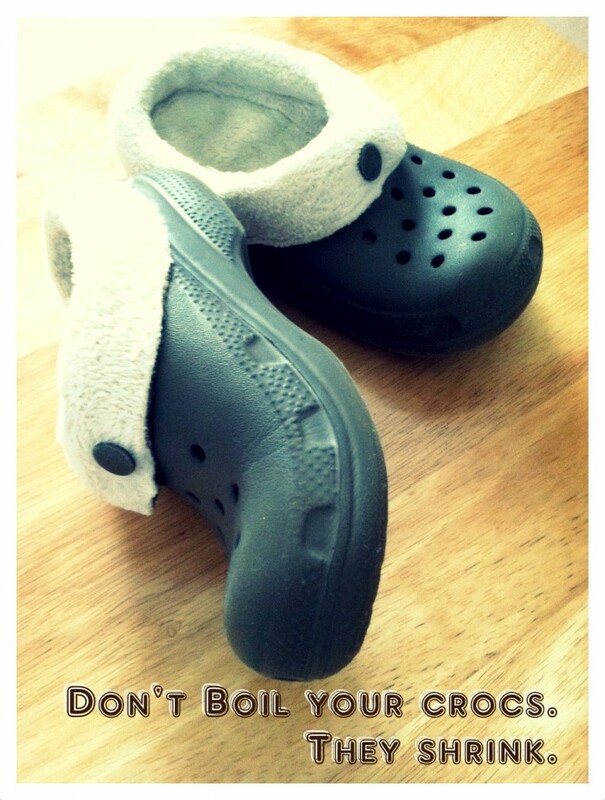 And being a good Colorado gal, I suggest you send this along to Crocs. Yes. Do it. They’re very engaging online. Wow I would have never thought they’d shrink!